Today we get into our first full 3x3x3 review! Since most of the big new releases have already been covered, we're going to be taking a look at a new release that so far has not received much attention at all: the Cyclone Boys FeiChi. Does this cube deserve more exposure than it gets? Cyclone Boys has always held a rather unique position in the market. 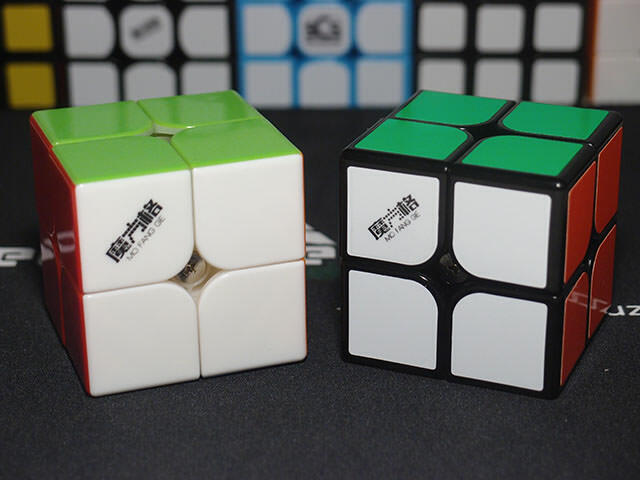 Their cubes are affordable and seemingly quite popular, and are often the first ones to pop up when you search "speedcube" on a shop that doesn't specialize in speedcubing. 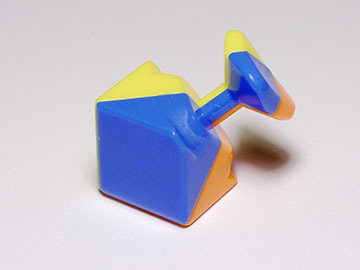 They're often picked by non-cubers or first-time speedcubers, partially because they nearly exclusively come in bright, cheerful stickerless shades. It must present quite a contrast from the darker, black-lined shades of storebought cubes. At the same time, however, among many more experienced speedcubing communities Cyclone Boys is quite negatively regarded. 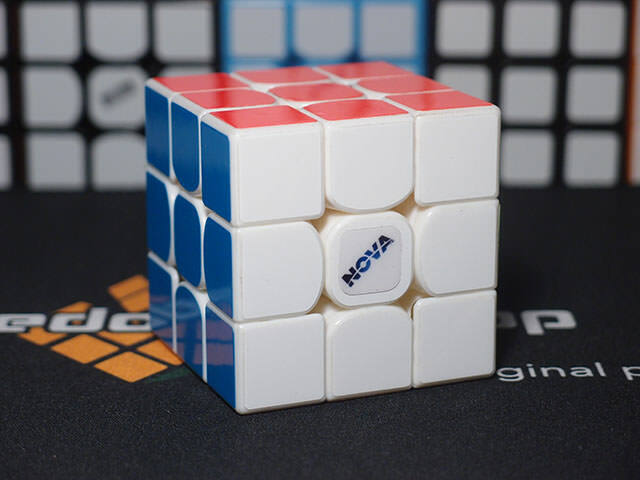 They're considered to have poor performance and outdated technology, and are seldom picked over MoYu or QiYi flagships. 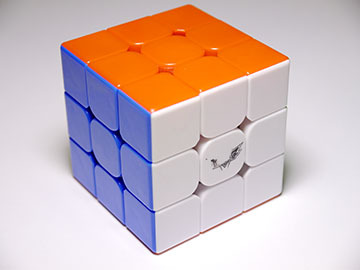 In fact, recently the Cyclone Boys designer actually left for MoYu in an attempt to create a better cube. Yet, despite the departure of Mr. Xu Guozheng, here we have a new release, the FeiChi. It's aimed at the semi-budget tier already dominated by the Thunderclap v1 and the ShengShou FangYuan, two formidable opponents. 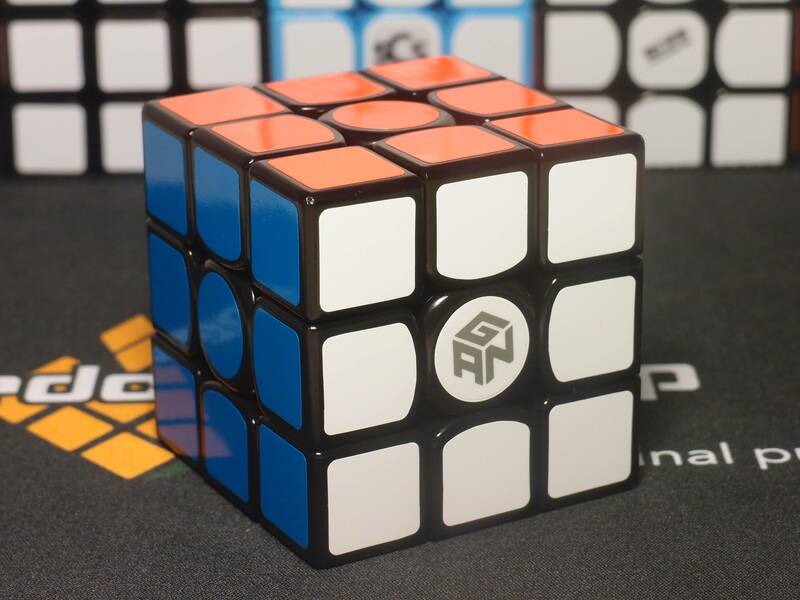 Cyclone Boys wants to regain more of a foothold in the speedcubing market and update their own technology to bring a higher performance cube, but can they do so despite the loss of their designer? 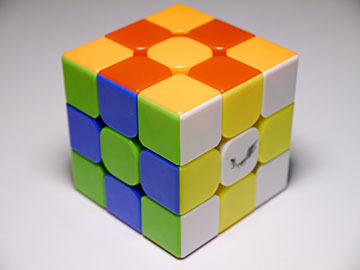 Compared to its predecessor, the FeiWu, this cube has larger Florian cuts and more rounded pieces. 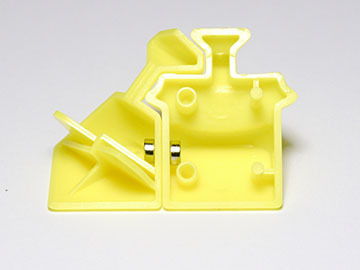 It measures 56mm and feels dense at 91g, with just a tiny bit of flex in the plastic of the pieces. Despite being released in a late 2016 dominated by squared corners, the FeiChi actually lacks them. The corners are sharply cut, rather than rounded like other pieces, but not square. We'll see how this affects corner twisting accordingly. Continuing the trend set by its predecessors, Cyclone Boys has once again opted out of releasing a stickered option. Shame, that could limit some sales. The stickerless shades are bright and cheerful, but aren't quite the same vibrant neon on older Cyclone Boys; in fact, they're nearly identical to the Valk 3's stickerless shades, with just a slightly brighter blue. Cyclone Boys, if you're reading this, good choice on the shades. Just next time, might you give us stickered? Oh, and one last thing: This is a very loud cube, with a high pitched clicky sound. Don't get this if you don't want to wake the person sleeping in the room over. Something pretty impressive for a cube of its class - out of the box, there was no spring noise. Whoa. Neither the Fangyuan nor the Thunderclap v1, comparably priced if just slightly cheaper cubes, managed that. It was just a bit tight for my liking out of the box, so I loosened each screw half a turn to try to increase corner cutting. (It worked). I then just added a drop of weight 3 to slow it down from its tremendous factory speed, and have since done about 700 solves on it. Spoiler: I like this cube a lot. I should note that while I unfortunately don't have a FeiWu to do a side-by-side comparison, I actually enjoyed a FeiWu that I tried a few months ago. I liked its speed and its crispiness and clickiness, but I just felt that the click may have been a little too tactile. The FeiChi solves that for me. It's wonderfully fast but still moderately controllable due to its weight in the pieces, which makes for a heavier turn. It's still very crisp and clicky, but less so this time and feels much more fluid. Algorithms flow with ease, if with that loud, clicky sound, and in general all of your turns just feel very fast and smooth. It's not very stable, however. 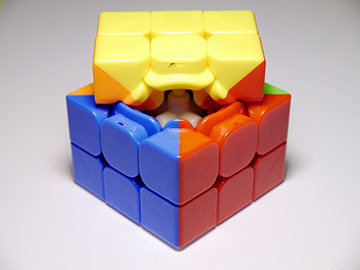 Layers misalign with ease and the cube likes to retain a flexed shape if flexed. I've adjusted to it and it's no longer an issue for me, and you might be the same, but it's something to be careful of. Corner cutting has always been one of Cyclone Boys' weak aspects: the FeiWu could only manage a bit under 45 degrees. Fortunately, the FeiChi's widened Florian holes seemed to have helped, pushing max forward cutting into high-end territory and effective corner cutting into very reasonable grounds. On the other hand, reverse cutting is still a bit off from current standards, and there is a full 5 degrees of deadzone. For a Cyclone Boys, this corner cutting is phenomenal. For a modern cube, it's not great, and I'm going to have to dock a few points here. However, it's not a bad result, and a few degrees off from max cutting shouldn't do much to affect my overall opinion of the cube. It won't pop unless your tensions are extraordinarily loose. Don't worry. As for anti-corner twist, it's quite easily twisted by hand, but I've learned to stop judging based on that. I'm not sure what it is, but for some reason I just can't get myself to corner twist it during a solve. Could be the instability affecting my grip, could be the plastic making my fingers slip, could even be that the cube forced my turning style to change, but it just doesn't happen. I might have to rate negatively against this cube anyways because it was so easily twisted by hand, but just know that I haven't been able to get it happen normally. Here we arrive at the internals. I had some suspicions that this was just going to be a FeiWu update. And indeed it is. It has the same track pattern, shape piece geometry, same nearly everything. In fact, the biggest change I can notice is simply that the Florian holes are bigger. That's not necessarily a bad thing. As far as I'm concerned, the Cyclone Boys mechanism design was already great and yielded a unique, enjoyable feel. All it needed was some fine tuning for performance, which manifested itself in the widened Florian holes. We have practically a FeiWu edge here. It has the same groove and track pattern, same locking feet, and same geometry overall. The biggest differences as far as I can tell are simply a wider and flatter torpedo and a more rounded inside edge (the Florian holes). Ahh, now we can see a geometry change. This design borrows an idea from squared corners - the actual friction surface inside the corner is smaller in radius than the face of the corner, which is why the corners of the corner piece seem to dip down before rising up into the shoulder. This is likely contributing pretty heavily to the improved corner cutting. Well, as we can see, the FeiChi is indeed very similar to the FeiWu, just with a few slight geometry changes. Welcome changes, each one of them - they seemed to have improved performance noticeably and kept the same clicky feel. Yep, being a hollow split piece design, it can be magnetized. You'll just have to struggle with prying apart the pieces first - they are held ﻿solid﻿. How well will it respond to magnets? That's a lot tougher to answer. It's a fast cube, and in general the faster a cube is the more you'll feel the magnets. 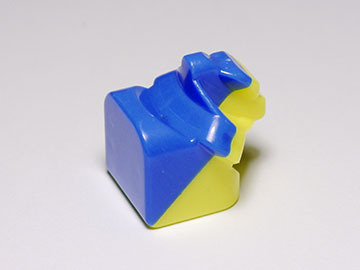 However, at the same time, the pieces are thick and there's a lot of plastic separating the magnets, which will reduce their strength, and the pieces turn heavily as well. I guess we'll have to wait and see until someone actually magnetizes one. I'm certainly not going to for the time being - it's my only FeiChi and I value its current feel too much. The FeiChi is a great cube, make no mistake. It's fast and fluid, with minimal lockups and great corner cutting. It's just slightly behind on reverse cutting and has an unfortunate 5 degrees of deadzone, and though I can't twist during a solve the corners do twist fairly easily. Remember, 7.5 is a very good score. I'm trying to go by the true average = 5 scale, and 7.5 is well above that. Man do I love this cube. It's fast and clicky and tactile, but maintains an amazing amount of fluidity with that feel. The momentum behind the turn is just as I like it. I don't use it too much for 2 hand, but it's actually become my one-handed main above even Valk. The only very minor issue I have with it is its instability, but it presents almost no issue to me because I can control it and because, well, table abuse. So overall? The Cyclone Boys FeiChi is a great cube and a much needed successor to the FeiWu, and has the feel and performance to compete with the FangYuan and the Thunderclap v1. It could very well be Cyclone Boys' comeback. If only it came in stickered. 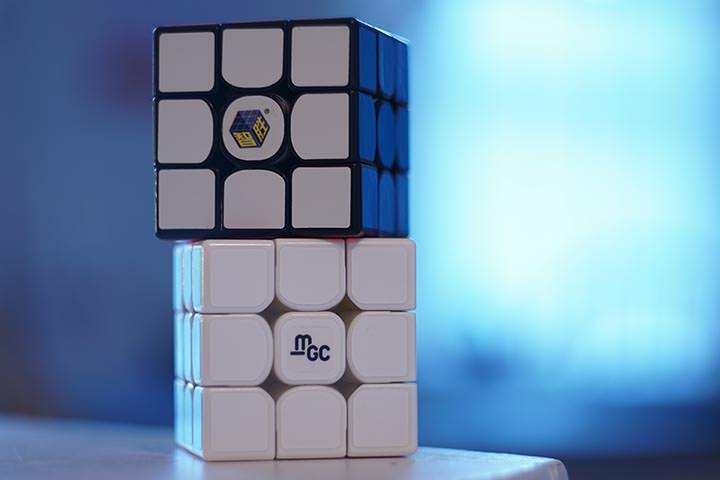 As it stands, the stickerless version is the one you'll have to settle for if you want one, and for those of you who can only use stickered cubes, I guess you'll have to Force Cube. Not too practical of a solution. That's the first 3x3x3 review finished, I guess. I really like this cube and hope you go check it out! As always, thanks for reading and I hope you enjoyed!